Trooping the Colour is a historical event of British Royal History. It has marked the official birthday of the British Sovereign for over 260 years. This year it is marking 91st birthday of Her Majesty Queen Elizabeth II. The event starts at 10 AM with carriage procession. Today it was the 1st time when Duke of Edinburgh was not in his uniform for official birthday parade. He accompanied the HM in a carriage for the procession. Duchess of Cornwall and Duchess of Cambridge rode with Prince Harry. Prince Charles, Princess Anne and Prince William were on horseback. In the beginning of the parade HM joins a minute silence for the victims of Grenfell fire. At the end of the prade HM reviewed the troops at whitehall. Te colourful event of British history features around 1400 officers and men on parade, 200 horses and 400 musicians. 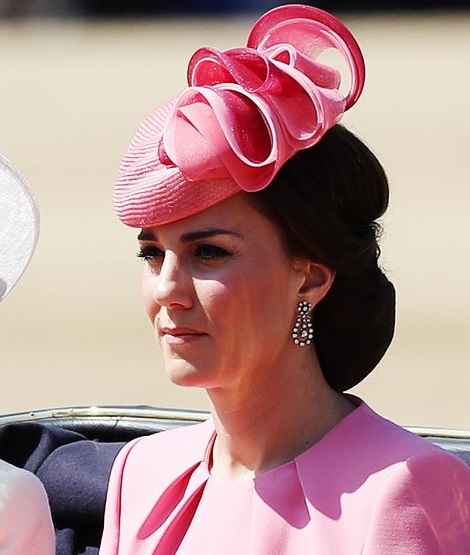 Embed from Getty ImagesFor the annual event Duchesss of Cambridge chose a pretty pink of watermelon shade from her go to label Alexander McQueen. The dress features a round neck with pleats, paper-bag details at the waist and full sleeves. Thanks to PerthsFashion for the id. 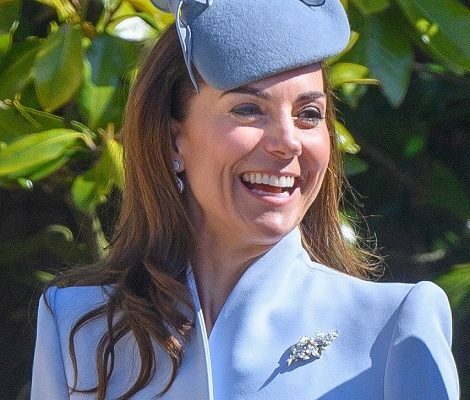 Duchess matched her outfit with a Jane Taylor hat and orbital teardrop diamond earrings loaned from Her Majesty. To complement her look duchess carried Etui Woven Clutch Bag. Prince George and Princess Charlotte watched the parade from palace window and then joined the royal family on Palace balcony to watch flypast. As usual little George and Charlotte were the show stoppers of the event. 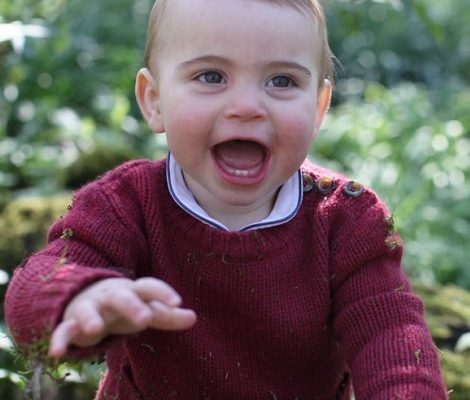 Embed from Getty ImagesThis year also marked another royal children debut. Great-granddaughters of HM Isla and Savannah, daughters of Peter Phillips and Autumn Phillips, made their first appearance on palace balcony today.